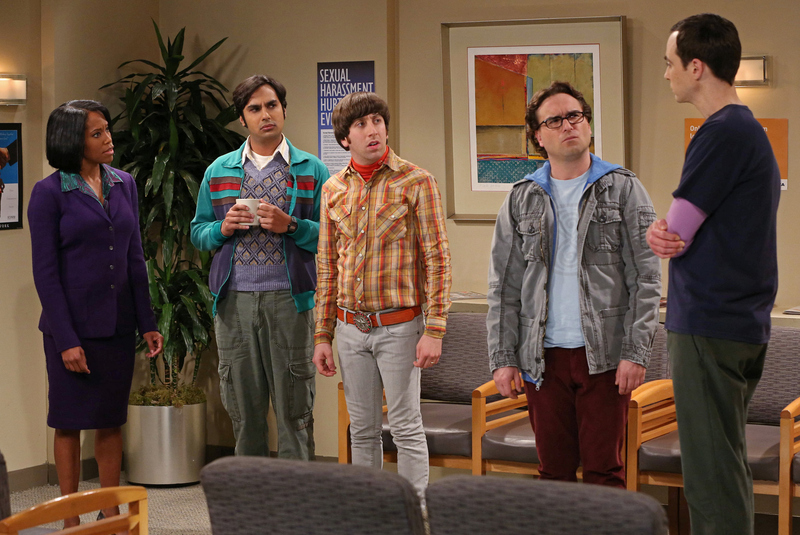 Sheldon gets accused of sexual harassment at the University and winds up getting Leonard, Raj and Wolowitz in trouble. Photo: Michael Yarish/Warner Bros. ©2012 Warner Bros. Television. All Rights Reserved.